It was a weekend of warm conditions and abundant atmosphere as the Canberra 48 Hour race took hold from Friday through to Sunday in the ACT. With participants choosing to enter either the 48hr, 24hr, 12hr or 6 hr events to gain their ultra distances, it was amazing to see 34 AURA members take to the track (and about 85 in total runners at the very least on Saturday!). The Canberra 48hr was not only a great race to be participating in, but it was also AURA’s 48-hour National Championships, with AURA placings following the overall results of each division. 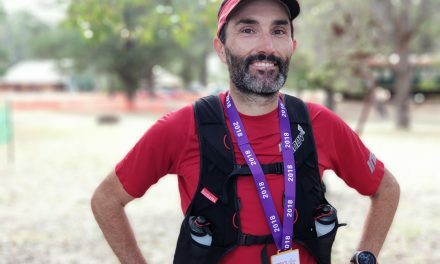 There was no escape from the sun as temperatures on Saturday reached 32 degrees, and at times it may have felt like running into a furnace, but that didn’t stop Kevin Muller from Upper Kedron, Qld from taking 1st place overall in the 48hr event with a total distance of 340.002kms and Wagga Wagga’s Luke Mulley 2nd place male with 310.456kms. Third place male and overall 3rd was taken by David Billett from Coromandel Valley, SA with 284.475kms. One of the great things to see out there on the Canberra track was that every single woman entered in the 48hr was an AURA member, and they dominated the tracks with astonishing kilometres. First female and 2nd overall went to Kerrie Williamson (322.011kms) from Cashmere, Qld while 2nd female and 4th overall winner, Victorian Cheryl Symonds took control of her own race with 304.246kms. They certainly put in the hard yards as Annandale’s Ann Hepworth claimed 3rd female with 276.824kms. For all those who ran in trying conditions in the 48hr event, a massive congratulations – Heather Christison (271.206kms), John Pearson (242.800kms), Nikki Wynd (234.408kms), Scott Black (234.408kms), Chris Lewinksi (277.943kms), Karen Chang (227.309kms), Kristy Ryan (221.079kms), Cassie Smith (203.275kms), Tony Wilms (153.200kms), Greg Brown (127.600kms), Sabina Hamaty (113.200kms), and John Timms (102.400kms). 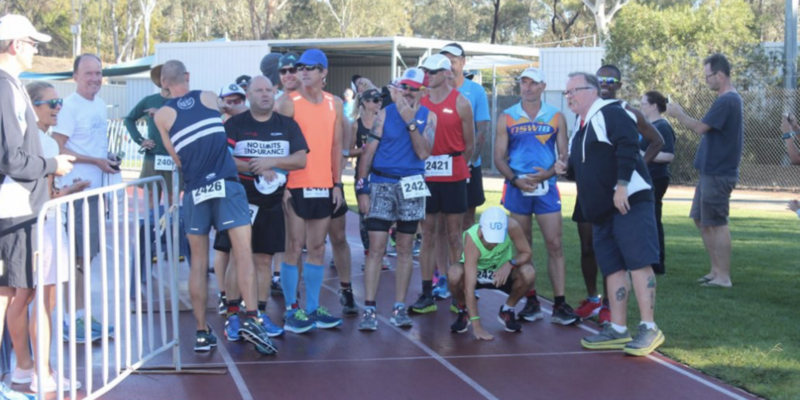 Next, in the 24hr event that started on Saturday, veteran runner Luca Turrini from Little Bay, NSW claimed 1st place with 221.184kms and was closely followed by Heathcote, NSW’s Stephen Redfern who successfully completed 211.691kms. In his debut 24hr event, Dan Symonds from Taringa, Qld went home victorious with third place thanks to his 207.799kms effort. We are awaiting confirmation that he may have set the 200kms and 24hr records in the M25 category. For the women, Samantha Post was first female AURA member with 100.358kms and Gemma Worland second for AURA placings, with 84.599kms. Recognition and congratulations goes out to all our AURA members who ran in the 24hr event – Mick Thwaites (196.236kms), Simon Peddle (185.128kms), Stephen Kiley (134.066kms) and Matthew Eckford (80.452kms). The 12hr and 6hr events were just as trying and it was AURA’s Malcolm Gamble from Mordialloc, Vic who claimed 1st overall (132.253kms) while John Nuttall successfully did 60.800kms in his allotted time. First female and 2nd overall was taken by Tia Jones who resides in the UAE. She completed 131.066kms, and we are yet to have confirmation that she set the W50 record. It didn’t stop there, with the 6hr being won by Ewan Horsburgh from St Ives Chase, NSW (64.823kms), followed by AURA’s very own Treasurer Alexis Oosterhoff taking 2nd male with 52.949kms who travelled from WA to participate. Brad Malone proudly took 3rd AURA male (47.664kms). Kelly-Ann Varey took 2nd female and 3rd overall in the 6hr with 54.990kms. Congratulations to everyone who took part in what was an amazing weekend of ultra running. For a full list of the overall results visit cbr.48hr.ktkc.com.au. Pictured: Startline of the 24hr event. Image – KTKC website.